StackMob is shutting down to focus its resources on PayPal, the company announced Wednesday. 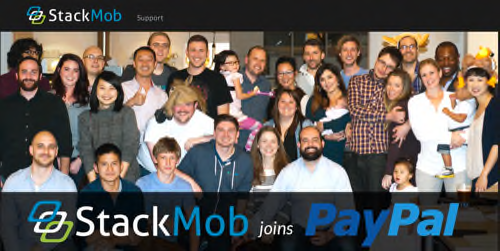 The payments company acquired StackMob in December. StackMob, the “backend-as-a-service” company, made it easy for developers to integrate applications with cloud services and let them focus their efforts on building mobile and web applications instead of worrying about server management and related tasks. Developers can get their data out of StackMob by using the data explorer, the company said. The data must be retrieved before the service shuts down on May 11. “By closing the doors to StackMob, we will be able to focus 100% of our energy on extending innovation in mobile technologies that will let users access the rich capabilities of the PayPal global network,” StackMob CEO Ty Amell said in a statement. StackMob was one of the defining companies in the BaaS mobile industry, along with Facebook-owned Parse and Kinvey. Kinvey remains the only independent company.